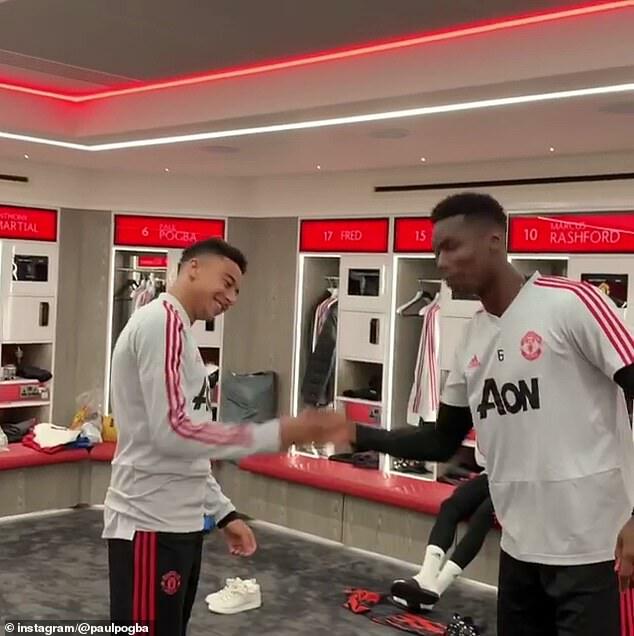 Paul Pogba has wished team-mate Jesse Lingard a Happy Birthday in a video on Instagram before the pair performed a choreographed handshake in the Manchester United dressing room. The Frenchman sent his colleague a birthday message in front of the camera on Saturday morning at the club’s Carrington training ground as they prepared for the trip to Anfield on Sunday. 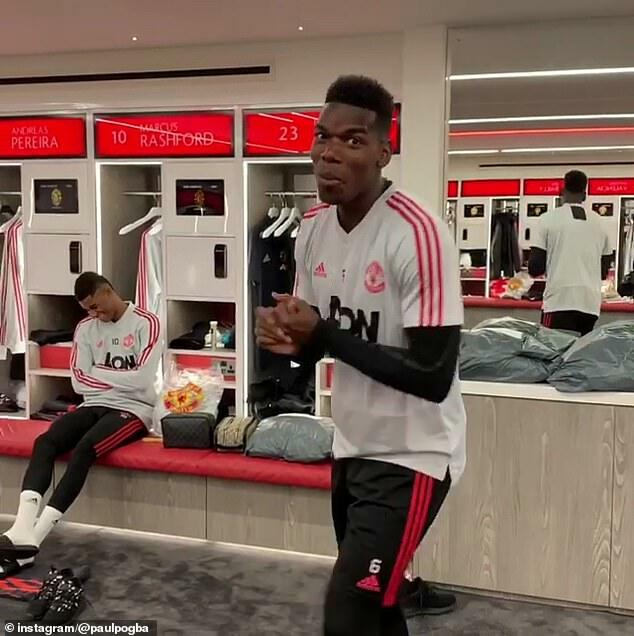 Lingard, who has turned 26, and United forward Marcus Rashford watched on in hysterics as Pogba said a few words to the camera before producing a few moves. After giving his speech, Pogba turned to Lingard and the duo produced one of their rehearsed handshakes before dancing around. The trio looked in good spirits ahead of the Premier League trip to Liverpool. It remains to be seen whether Pogba will be involved in the game against Jurgen Klopp’s Premier League leaders. He has only started one of United’s previous five top flight matches and was left on the bench for the entire 90 minutes against Fulham last week. Pogba did play in the midweek Champions League defeat to Valencia though. On Friday, manager Jose Mourinho turned up the heat ahead of the game by telling Klopp he needs to win silverware to be a success. The United boss believes Klopp, who has also lost in the final of three competitions, should be expected to challenge for the title after spending nearly £250million on new players this year alone. ‘I think trophies matter, especially when you have the potential to fight for trophies and when you clearly say that the objective is to win the trophy,’ said Mourinho. ‘I think Jurgen said already they want to win the Premier League, it’s their objective. ‘I think sometimes just to say it is not very intelligent. But when you have the potential, you have nothing to hide.